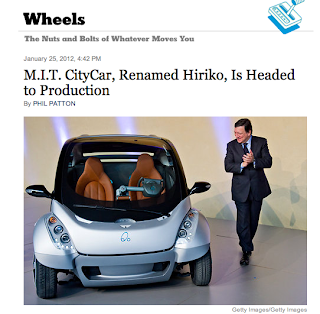 Two years in the making and the MIT CityCar prototype debuted in Brussels last week. The vehicle has garnered quite a bit of press thus far, and it is nice to see Will and the MIT team recognized for their innovation and hard work. It is a great milestone for the group and we are excited to see what comes next. Congratulations fellas!